Documenting China brings together a series of linked texts, each one chosen for its impact when first published, and which together chart the core developments in twentieth-century Chinese history. 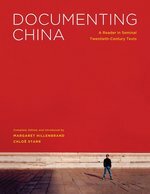 With extracts spanning the fields of philosophy, political science, gender studies, popular culture, literary history, neo-nationalist discourse, and international relations, the book challenges advanced language learners to elevate their reading ability to the level necessary for handling real primary sources in an unmediated way while deepening their understanding of Chinese politics, society, and culture. Each chapter is structured around crucial passages from a core historical text, each chapter begins with an introductory essay in English that provides context for fully understanding the text, suggested further readings, and a glossary of key terms.